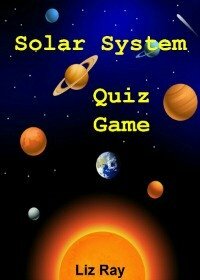 Praise God, I have successfully published my first e-book in the Amazon Kindle Store, the 'Solar System Quiz Game'. It is available for FREE from the Kindle Owners' Lending Library, for those enrolled in Amazon Prime. This interactive quiz game, with pictures, is about the sun, moons, and planets in our solar system. There are 40 questions each with a choice of 3 answers. The pictures and questions, in this interactive game book, provide a fun way for all, kids and adults, to learn about the solar system. I myself learned a lot just from preparing this e-book. The e-book helps one to learn the names of the moons and planets, what they look like, and how they are categorized, i.e. dwarf planets, terrestrial planets, or gas planets. At the time I was planning to do a different quiz book, which I am working on now, but I felt impressed by God to first do one on the planets, moons, and stars. 25. Of old hast thou laid the foundation of the earth: and the heavens are the work of thy hands. 21. Have ye not known? have ye not heard? hath it not been told you from the beginning? have ye not understood from the foundations of the earth? 4. What is man, that thou art mindful of him? and the son of man, that thou visitest him? When we look up at our solar system and milky way galaxy we should be drawn closer to God. 19. The heavens declare the glory of God; and the firmament sheweth his handywork. 14. Behold, the heaven and the heaven of heavens is the Lord's thy God, the earth also, with all that therein is.